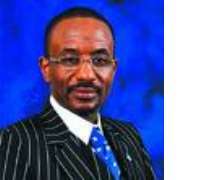 Yar'Adua Picks Sanusi As New CBN Gov. President Umaru Musa Yar'Adua Monday nominated Mr. Sanusi Lamido Aminu Sanusi as Governor of the Central Bank of Nigeria (CBN), PANA reported from here. In a letter to the Senate President, David Mark, President Yar'Adua requested for an expeditious consideration of the nomination. The President also requested the Senate to confirm the renewal, for a second term, of the appointment of Mr. Babatunde Lemo, as Deputy Governor of the CBN. Yar'Adua had earlier sent a letter of commendation to the outgoing CBN Governor, Professor Chukwuma Soludo. The letter, copy of which was made available to PANA, read: “As your tenure as (the) Governor of the Central Bank of Nigeria comes to a glorious end, I write on behalf of the government and people of Nigeria to place on record our debt of gratitude to you for your dedicated service and uncommon sense of duty over the past five years. “I am confident that your worthy antecedents in the CBN and in prior appointments in the service of our nation remain sources of inspiration to an entire generation. “As I wish you even more astounding successes in the years ahead, it is my fervent hope that you will readily avail us of your distinguished service when the need arises in the future,” the President's letter stated.